Music has a power of forming the character and should therefore be introduced into the education of the young. Research shows that music students achieve better results in other academic subjects and are happier, healthier and enjoy more success in their chosen careers. University-age musicians are emotionally healthier than their non-musician counterparts. 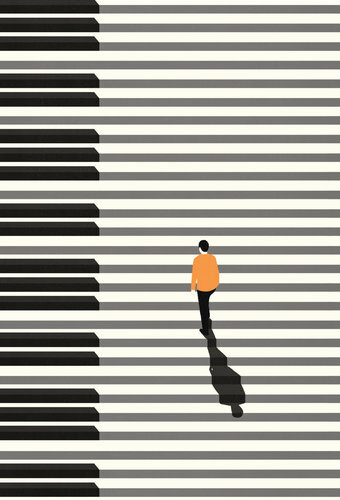 A ten-year study, tracking more than 25,000 students, shows that music-making improves test scores. Piano students are better equipped to comprehend mathematical and scientific concepts. Music majors are the most likely group of university graduates to be admitted to medical school. The world’s top academic countries place a high value on music education. Hungary, Netherlands and Japan stand atop worldwide science achievement and have strong commitment to music education. Music is a moral law. It gives soul to the universe, wings to the mind, and life to everything… Without music, life would be an error. High achievers like Alan Greenspan (former chair of the US Federal Reserve), Paul Allen (Microsoft co-founder) and Woody Allen (film director) say music sharpens essential skills like collaboration, creativity, discipline and the capacity to reconcile conflicting ideas; all qualities notably absent from public life… Multiple studies link music study to academic achievement. But what is it about serious music training that seems to correlate with outsize success in other fields? A guide for parents, teachers, principals and community members who are passionate about ensuring that music education is included in their school program, and need to act as advocates to build or develop programs in their area. MUSIC CHANGES OUR BRAINS . . .
We need people who think with the creative side of their brains—people who have played in a band, who have painted…it enhances symbiotic thinking capabilities, not always thinking in the same paradigm, learning how to kick-start a new idea, or how to get a job done better, less expensively. CREATIVITY IS KEY TO EDUCATION . . .
As we move from the Industrial Age to the Information Age we need to prepare our students differently. Employers will increasing expect them to be flexible, innovative and most of all creative.